Delays in the conveyancing process are not uncommon, however, if you are hoping that your property transaction completes as quickly as possible, we recommend that you are aware of the common causes of delays so that you are able to manage your affairs appropriately to ensure the process is as straightforward as possible. Many people who are purchasing a house have an ideal date by which they hope the transaction is completed. 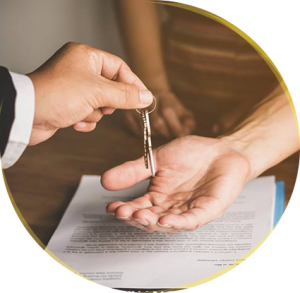 The timescale for the completion of your property sale or purchase is dependent upon your individual circumstances therefore no two transactions are the same. Whilst our Team of Residential Conveyancing Lawyers follow a definite procedure to complete your transaction, it is not uncommon for issues and queries to arise which can cause delays. There are a range of particular circumstances which are commonly associated with delays which we have outlined so that you are aware of when and why they might occur. The key to overcoming such events as quickly as possible is often to be prepared, consistently engage with your Solicitor and to respond to queries and requests in a timely manner. Many people often do not realise that their lack of urgency to respond to their Solicitors requests is a main cause for delay. This can include anything from arranging appointments for signings to returning documents in the post. Preparation is key and by having your affairs in order the process can run much more smoothly. Any queries raised will require a response, this might include problems with the survey to discrepancies within the property deeds. Whilst our Solicitors here at Hodgkinsons will keep you informed at all stages, you should remain in contact with your Solicitor to ensure they have everything they require from you. Most cases will involve multiple property transactions and each purchase is reliant on the sale of the one previous. If one chain is delayed, the entire system will be postponed. Delays may include potential buyers dropping out. If this occurs your Solicitor will keep you informed and provide advice on the next steps to take. Your property will undergo a series of local authority searches and surveys to distinguish the condition it is in. These searches must be scheduled, completed, analysed, written up and acted up on. If any issues arise or your Solicitor recommends that you must carry out specialist reports, it will push the process back. However, it is crucial that these searches are carried out and rectified whether it requires quoting for any further work or making amendments to your offer so that you are paying the justifiable price for the property. Particularly for First Time Buyers, it is not uncommon for home buyers to receive cash as a gift from family as a financial contribution towards their deposit. The same is for a buyer who has received inheritance and wishes to purchase a house with these recent funds. Whilst it is completely legitimate to purchase a property with such monies, you must disclose and provide proof of where the deposit has come from. Whether it was accumulated through savings or gifted, this must be declared to your Solicitor who can then inform the bank or building society. The same is applicable for cash purchases. In cases where the money has been gifted, the family member will be required to confirm that it was a gift and they have no legal rights to the property. The reason such checks are carried out is for money laundering prevention and therefore money laundering checks will always be carried out. Our Team of expert Residential Conveyancing Lawyers can guide you through the conveyancing process, keep you updated at all stages and provide advice if an issue arises. From First Time Buyers to Property Investors, we can help you. Our Team often assist with sales and purchases in the areas of Skegness, Boston, Sleaford, Spalding, Lincoln and beyond. If you require legal advice and you believe we could help you, call us on 01754 897150 or submit a contact form and we will call you.